Between the fall of 2016 and the fall of 2017, the amount of white supremacist propaganda being disseminated on college campuses rose 258 percent according to an Anti-Defamation League report. The report states that the 2017 fall semester saw 147 incidents of white supremacist posters, stickers, banners and flyers being handed out. In the 2016 fall semester, there were 41. Since September 2016 there were a total of 346 incidents of hate propaganda on 216 college campuses in 44 states and Washington, D.C. The alt-right is responsible for most of the propaganda. 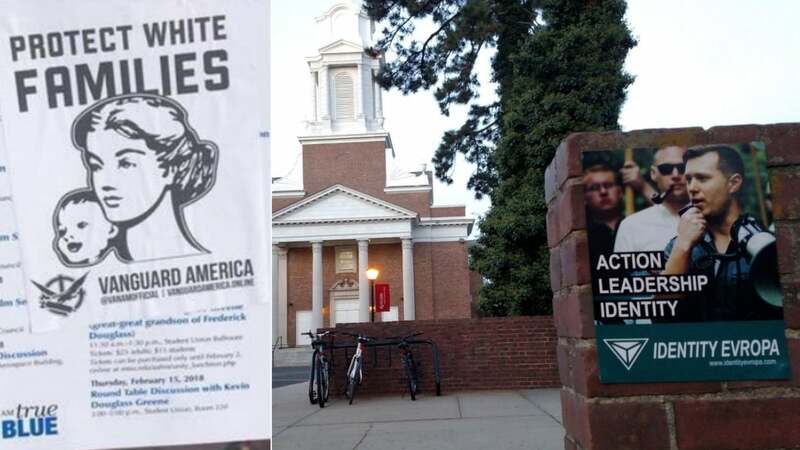 One group that calls itself Identity Evropa targeted college campuses 158 times which accounts for 46 percent of the incidents the ADL counted in their study. Other groups like the Atomwaffen Division, use flyers with the more typical Nazi images and threatening language targeting minority groups. This Anti-Defamation League report is more evidence that white supremacists are feeling emboldened in the United States. According to a separate report filed last month, the ADL found that white supremacists killed twice as many people in 2017 as they did in 2016. Self-styled alt-right leader Richard Spencer and Eli Mosely were asked why these racists focus so much of their energy on colleges and universities. “This is a young person’s movement,” Spencer stated. “When we go to these schools, we’re not going to intimidate people of color or anything like that,” he went on. January 2018 has already seen racist activity on college campuses. Members of Identity Evropa attempted to disrupt an ethnic studies class at the University of California in San Diego. Then, last week a Black History Month poster at Middle State Tennessee University was vandalized by Vanguard America when they pasted their propaganda over it.